RE: I was automatically charged to an inactive account for membership. My cost:$71.96. Please help! Willing to do a little more work to make this work, but not much more before I ask for a refund. another manager, how would I go about getting a refund from 1Password? Is there a refund process? How long would it take? RE: I have EERO Plus with 1 Password included. I was billed for 1Password. If you purchased a license within the last 30 days, please reach out to [email protected] and we can give you a refund if you're not satisfied with the features of the app you paid for. 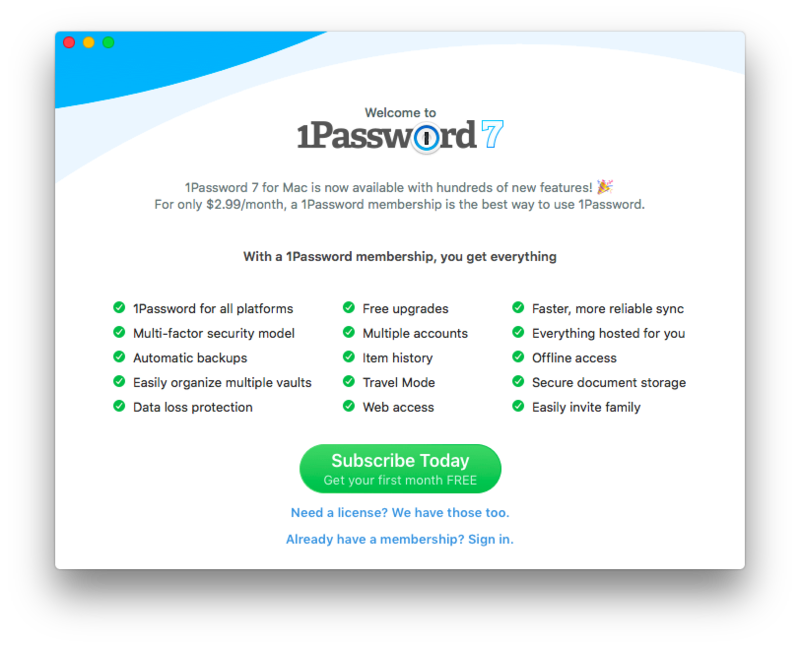 I was bought 1Password 7 and can't get member?